So said David Sharpe in June. Was the young chairman suggesting Latics would have a striker who would score 20 goals in the season ahead? Or was he saying that they would be signing a player who had already scored 20 goals in a season? Less than two weeks after Sharpe had made his statement free agent Craig Davies was signed from Bolton on a two year contract. A week after that Latics paid Brentford around £1m for Will Grigg, who penned a three year deal. Both had been 20 goal strikers. The 29 year old Davies scored 23 goals for Chesterfield in their promotion season from League 2 in 2010-11. Despite still only being 24 years old Grigg had done it twice. In the 2012-13 season he scored 20 for Walsall, then last season he scored 23 for the MK Dons in their promotion from League 1 to the Championship. Davies remains a formidable force and has already impressed Latics fans with his all-action performances. Sadly the hamstring problems that haunted him at Bolton have returned, this time in his left leg. The big striker is now back in training, but even the most optimistic of fans will need to cross their fingers that he can stay away from further such problems. Given the likelihood of him receiving further injuries few would bet on Davies being a 20 goal striker this season. Up to this point he has made five starts, with one appearance as a substitute, scoring two goals. In Davies and Grigg, Latics had signed players with proven goalscoring records in the lower divisions of the Football League. However, they already had another on their books. Grant Holt is now 34 years old and has recently recovered from a serious injury, but will nevertheless be feared by League 1 defences because of his superb goalscoring record in the lower divisions. Holt has reached the 20 goal mark on four occasions, once for Rochdale, once for Shrewsbury and twice for Norwich. Holt is being gradually eased back into playing a full 90 minutes and Latics will surely not rush him. The big man from Carlisle could have a big part to play in the remainder of the season, providing he can stay fit. But with the season at its first quarter Grigg has struggled to reach the goalscoring form that Caldwell would have hoped for. He has scored three goals up to this point, two of which were penalties. After starting in the first six games he missed the Chesterfield match through being on international duty for Northern Ireland. He came back as a 66th minute substitute at Port Vale, but was to pick up an elbow injury which kept him out of the next two games. He made his return as a 77th minute substitute, scoring the equalizer during added-on time against Millwall. Grigg returned to the starting lineup for the next game against Walsall, but was substituted after 70 minutes. However, international call up knocked on the door again and Grigg has missed the last two matches at Crewe and Bury. Grigg’s season at Wigan has therefore been stop-start up to this point. Caldwell has experienced the frustration of the player being unavailable for three matches without getting on the field of play for Northern Ireland on top of his elbow injury. At this point last season at MK Dons, Grigg was playing as a lone centre forward in Karl Robinson’s preferred 4-2-3-1 system, alternating with Benik Afobe in that position. He had made six starts, with four appearances as a substitute, scoring six goals including two in the Don’s League Cup victory over Manchester United. 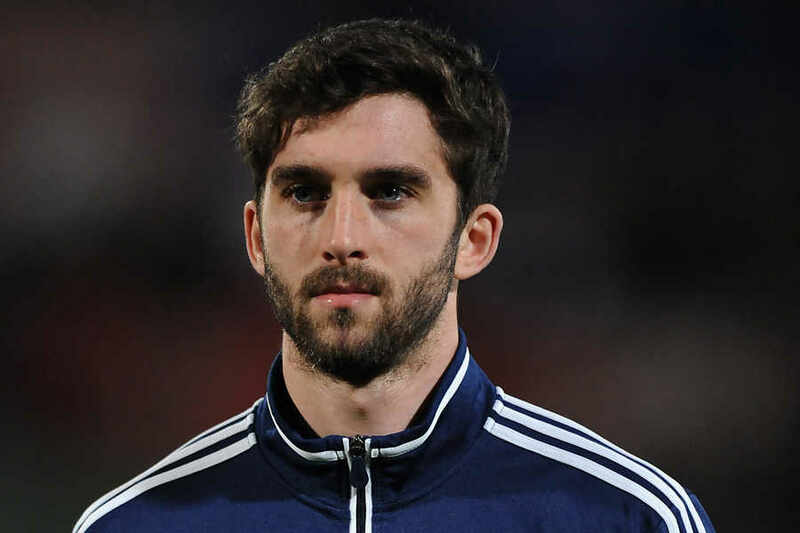 Up to this point Grigg has played in the lone striker role and as a twin striker at Wigan. Caldwell has talked with enthusiasm about the Grigg-Davies partnership. They have started together three times, the most memorable being in the 3-0 destruction of Scunthorpe. The physical presence of Davies creates more space for Grigg and they are Caldwell’s optimal striking duo. The manager also has Holt at hand to play a similar kind of role to Davies and it will be interesting to see if he links the two together at some point in tomorrow’s game against Colchester. Caldwell also has the option of linklng Grigg together with the physically less imposing, but pacy, Jordy Hiwula. The enigmatic Sanmi Odelusi remains another possibility in a partnership with Grigg. Up to this point Latics have scored 17 goals in 13 games. Grigg ties with Hiwula and Michael Jacobs in being leading goalscorer with three goals. Recent loan signing Yanic Wildschut has really caught the fans’ attention with two exciting performances, including a blockbuster that will be a contender for goal of the season at Crewe. Hopes are high that the Dutch winger can terrify League 1 defences and score goals. However, the player’s career record reads 16 goals in 132 appearances, a goalscoring ratio similar to that of Jacobs who has also played a s winger during most of his career. If any Wigan Athletic player is to reach the 20 goal mark this season, it will most likely to be Grigg. He has done it before on two occasions at League 1 level. But Grigg is much more than a goalscorer, his intelligent play and passing enabling him to create chances for others. Caldwell will surely be counting on Will Grigg as being a cornerstone of his bid for promotion back to the Championship.